The Arduino Electronic Brick Starter kit is designed to get you started quickly and easily on your path of learning electronics. 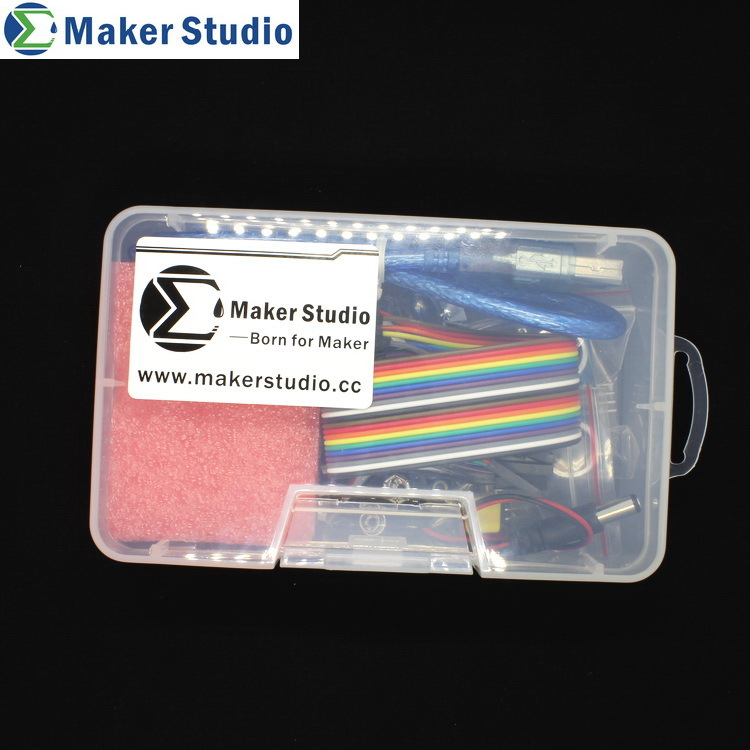 Once you've received your starter pack you can start to paly with little or no electronics and programming experience. No need to use breadboard, just plug and play.